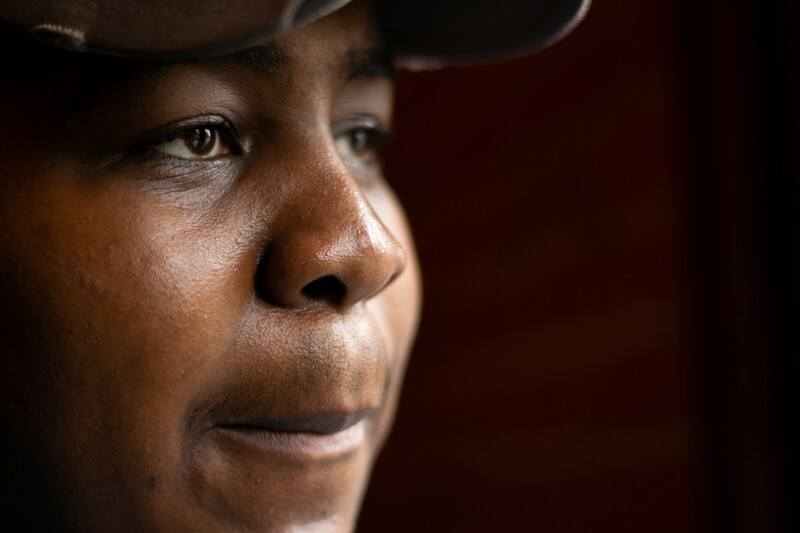 On a muggy Saturday morning in August, 18-year-old Dajourn Anuku stood outside the Port Authority Bus Terminal in New York City, wearing cutoff jean shorts and a baseball cap sporting the phrase “Be Humble.” A large, meaty kid, Dajourn was sweating beneath the weight of his massive backpack and a plastic shopping bag stuffed with laundry detergent, paper towels, and dryer sheets. Earlier that morning, he’d lugged all of this from a Georgetown University dorm room to his bus, where the driver requested $35 for the luggage. Dajourn had the money but wasn’t willing to part with it. He’d just finished a pre-college summer program at one of the country’s most prestigious universities, but he was still the son of Nigerian and Jamaican immigrants from blue-collar Canarsie, Brooklyn—a kid who schlepped his laundry detergent, paper towels, and dryer sheets across five states because that stuff cost money. Luckily, Dajourn was good at persuading people. “He can talk his way out of anything,” his father, George, told me that morning as we drove to Port Authority. Sure enough, Dajourn convinced the driver to drop the luggage fee. If Dajourn could get himself out of sticky situations, he could also get himself into promising ones. There aren’t many black, first-generation students at Georgetown, which Dajourn refers to as a “PWI,” or predominantly white institution. This year, 12 percent of Georgetown’s admitted freshmen were black, and 11 percent were first-generation college students. The school has need-blind admissions, but the median family income of a Georgetown student is about $229,000, and 74 percent of its students come from the country’s top 20 percent of earners. In contrast, only 3.1 percent of students come from the bottom 20 percent. Admission into this rarefied world required a mental, emotional, and physical effort on the part of Dajourn and his parents that was nothing short of extraordinary. And Dajourn’s future is not promised: Though the majority of Georgetown students experience upward mobility after graduation, a 2018 study on race and economic opportunity in America found that “black Americans have substantially lower rates of upward mobility and higher rates of downward mobility than whites, leading to large income disparities that persist across generations.” Further, the statistics showing that children of immigrants tend to out-earn their parents don’t necessarily apply to second-generation blacks. Dajourn says he’s given up on the American dream; he’s not sure he ever believed in it. Still, he wants to succeed and is incredibly eager to get ahead. If there’s ever going to be real mobility — and real equality — in America, Dajourn says it must be reimagined in the image of kids like him: the ones who are not humble, but persuasive. The ones busting their way into elite PWI’s like Georgetown, the very places they don’t belong. In theory, Dajourn wants much of what the American dream symbolizes: economic and social mobility, stability and success born of hard work. But experience has taught him that the path for black immigrants and their kids is different from that of their white counterparts. Take his neighborhood of Canarsie, New York, for example, a majority black community of low-income families, many of them Caribbean in origin. Though the poverty rate is relatively low there compared to the city at large, more than one in 10 minors living in Canarsie experienced poverty in 2016. In 2017, the community had three times the citywide crime rate. From a demographic standpoint, you might call Canarsie middling; it wasn’t terrible, but it didn’t give Dajourn a lot of opportunities. He and his mother describe the neighborhood schools as crowded and rowdy. Fights between students are frequent — and frequently broken up by police. Academically speaking, student performance is slightly higher than citywide but still dismal: Only 42.3 percent of fourth-graders perform at grade level in math, and only 45.6 percent perform at grade level in English. Was this the American dream? But Dajourn also knew that his family’s economic resources were limited. Nareen, a Jamaican immigrant who had dreamed of becoming a nurse, works 96-hour weeks as a secure care treatment aid for the New York State Department of Mental Health. The position, which entails assisting and restraining patients, is both difficult and dangerous. His father, George, works 40-hour weeks as an operating room tech, prepping for and cleaning up after surgeries. Both overcame significant obstacles to reach this point. When she came to the United States as a teenager, Nareen was sporadically homeless. She eventually opened two cafés that were shuttered because of neighborhood violence. George, who was raised in both inner-city Chicago and Nigeria, fled his abusive family as a teenager and managed to make it on his own. Neither he nor Nareen graduated from high school, though Nareen earned her GED. Even as a kid, Dajourn was ambitious. He came to believe that the closer your school was to Manhattan, the more likely you were to get Manhattan opportunities and have a Manhattan kind of career. But here is where Dajourn’s ambitions ran into reality. Yes, the dream was about moving up and achieving more. But it was also about making yourself less vulnerable. Instead, Dajourn experienced the opposite: The closer he was to affluence and success, the more vulnerable he became. Riding the subway or bus toward Manhattan, he witnessed the city’s stop-and-frisk policy firsthand. “I’d see people at the train station who were bothered by the police. And I would think about how police officers are doing more injuring than protecting,” he said. Last year, his older brother Terrence, a psychology major at the University of Buffalo, was falsely accused of committing fraud. Two police officers stopped him outside one of his classes, asked him to identify himself, and then took him to the station. Apparently, a woman had come to the campus police, said a black man from the university had stolen her bank information and, when the police presented her with a series of student IDs, pointed out Terrence. He was questioned and released for lack of evidence. His misstep, it seemed, was being a black man who may or may not have resembled another black man. In theory, a white immigrant or a white immigrant’s kid could blend; with the right clothes and the right swagger, people might never suspect humble beginnings. Dajourn didn’t have that luxury. In proximity of Manhattan — or anywhere that was predominantly white and privileged — a person who saw him might make any number of conscious or unconscious assumptions. Racism, racial ignorance, or, at the very least, unconscious bias became more acute for Dajourn the more upwardly mobile he became. Though the girl had accused Dajourn of watching her, he was the one under the microscope. Just a few days before, his Irish host brother had reached out and touched his hair without bothering to ask. And yet Dajourn was being made to feel that he was insensitive and rude. No wonder he felt amped up. His father would later warn his son never to let his emotions get the better of him. Because here was the other reason Dajourn couldn’t believe in the American dream: It was a minefield. “That girl was trying to trigger ignorance out of you,” George said, “to have you [get angry], to trigger a stereotype.” Dajourn didn’t need any clarification here. He was in middle school when 17-year-old Treyvon Martin, an unarmed black kid, was shot while walking around a gated community in Florida. It was the first time — though by no means the last — that Dajourn realized how quickly and dangerously basic interactions between whites and blacks could escalate. It was a fear that George shared — and one that took on new urgency now that his son was about to leave for college. “Don’t let nobody squeeze your trigger,” he said. During high school, Dajourn’s teachers did everything in their power to convince him that college was a real possibility. “My education tried to enforce that the American dream is real,” he said. 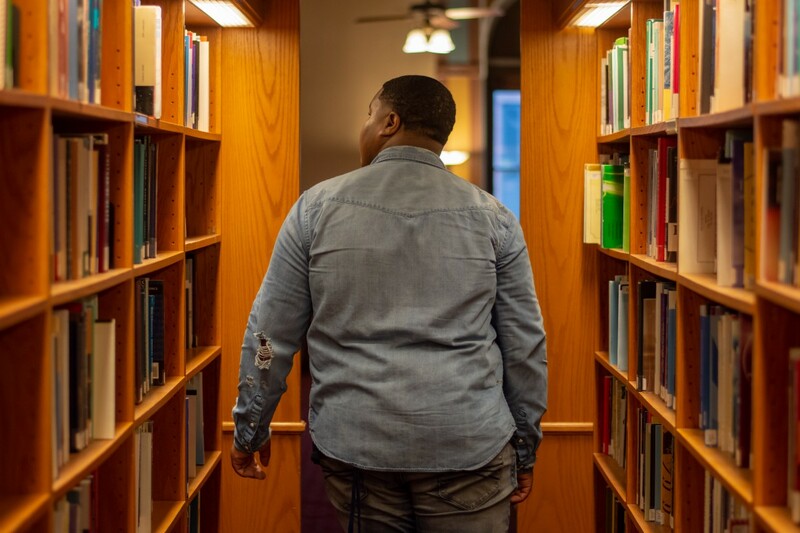 The summer before seventh grade, Dajourn was sitting on his front porch, paging through a brochure of New York City high schools, when his eye caught on the Urban Assembly School for Law and Justice (SLJ). The law-themed public high school in downtown Brooklyn was just across the bridge from Manhattan. Last spring,100 percent of the 2018 graduating class was accepted into college — a number unparalleled for public schools without a specialized admissions exam and where the majority of students qualify for free or reduced lunch. In New York City, students apply to high schools via lottery or admissions test. In theory, a student from a poor neighborhood can secure admission to an affluent neighborhood school, though the chances are low. New York City schools are notoriously segregated, and only recently has the city started taking proactive steps toward integrating its most elite public high schools. 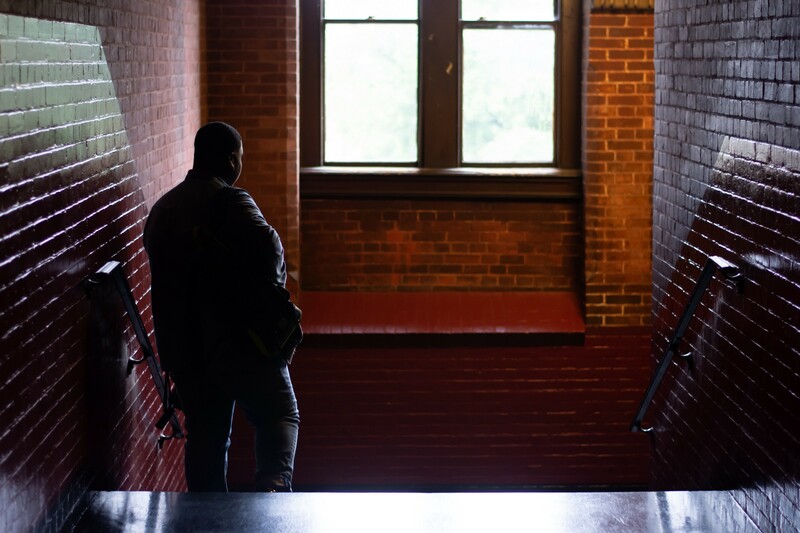 To access SLJ, which caters to kids like Dajourn but accepts only about 118 freshmen each year, you have to know about it (a greater barrier than it may seem), have the flexibility for an hour-long commute, and be selected in the lottery. And it’s not like the SLJ model is anything close to common. The school’s success is based largely on its relationship with the Adams Street Foundation, an affiliated nonprofit whose sole purpose is to help students prepare for and, crucially, fund college. Adams Street money means that SLJ has many of the resources — like intensive college counseling, scholarship assistance, mentorship programs, trips abroad, and academic electives — that are more typical of Brooklyn Friends, a private Quaker school just down the street. With his parents’ discipline, Dajourn was able to rise to the top of his class at SLJ, but he was still far behind his peers at other schools. 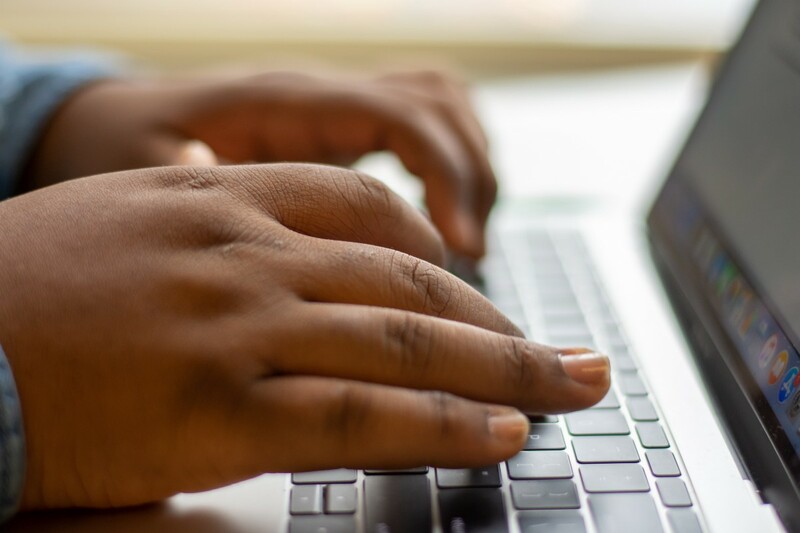 In 2013, when Dajourn was in the eighth grade, there was a 26-point discrepancy in reading skills between black and white eighth-graders and at 31-point discrepancy in mathematics skills, according to a recent report from the U.S. Department of Education. 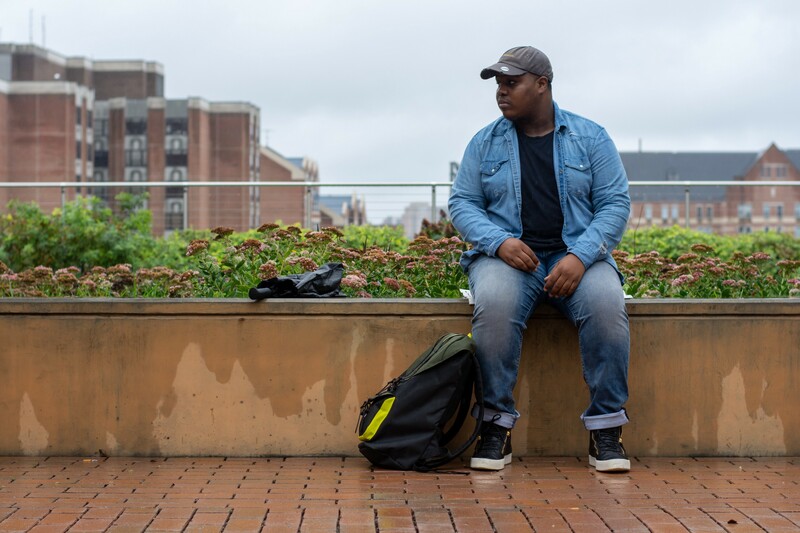 Dajourn reminded himself, this was precisely why he’d come to Georgetown in the first place: to be a witness to the system and work as hard as he could to change it. “The education system in America is very racist at its core,” says Amara Brown, an independent education consultant at schools across New York City. Some of these are high-end private schools that cost up to $50,000 a year, have few students of color, and are, as Brown says, “mass-producing kids going to Harvard.” In other words, “If you’re in a high school in NYC, that’s not horrible, but it’s not at that Trinity level. You’re already behind in the race,” she says. Previously, Brown mentored Dajourn at Sponsors for Educational Opportunity (SEO), an intensive eight-year program that provides supplemental education for low-income students through four years of high school (one weekday after school for three to four hours and eight hours every Saturday) and mentorship throughout four years of college. The goal isn’t just to help kids get into selective schools, but also to make sure they graduate. Georgetown boasts a 92 percent graduation rate for first-generation, high financial need, and other underrepresented students, but that is the exception. At private not-for-profit colleges and universities, the graduation rate was 43.5 percent for black students who entered in 2009 and graduated in six years — 26 percentage points behind the white graduation rate. SEO is meant to help kids through the academic and social challenges that lead to high college dropout rates. Still, Brown is the first to admit that even an SLJ education combined with SEO does not make a kid like Dajourn academically competitive with his peers at elite high schools. “Dajourn will struggle [in college] because of the system, not because he’s not capable,” she says. 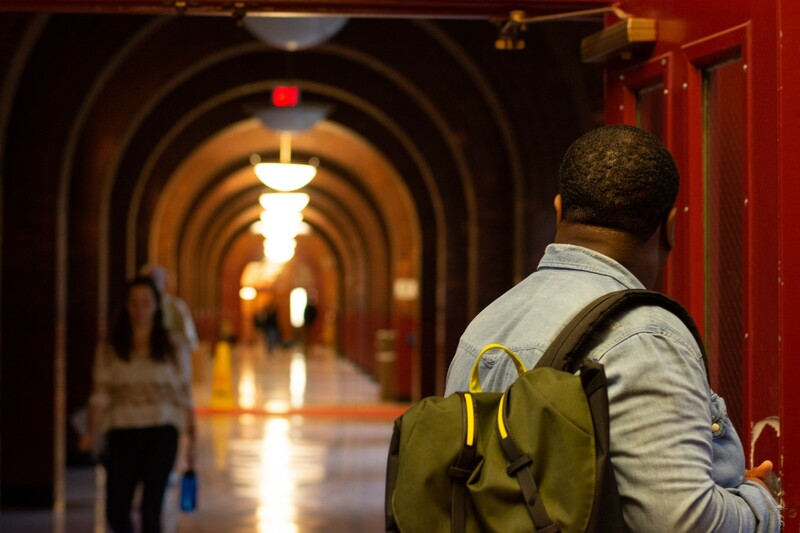 Within days arriving at his summer program at Georgetown, Dajourn discovered that the people he expected to be critical of the system were actually helping perpetuate it. In other words, how many of his peers would now go into the world believing that black-on-black racism somehow excused white-on-black racism? But, Dajourn reminded himself, this was precisely why he’d come to Georgetown in the first place: to be a witness to the system and work as hard as he could to change it. It was why his older brother Terrance had bought him that “Be Humble” hat. Dajourn wasn’t advertising his own humility; he was telling the world that it needed an education. “When they say ‘Nigerians can’t do this’ or ‘Jamaicans can’t do this,’ I’m going to show them,” he said. Dajourn could have applied to a historically black college like Howard. “The closer you get to that campus, there’s so much more culture,” he said, describing the cafés with murals of Obama and Prince and the cheap chicken joints that reminded him of Brooklyn. “When I found places like those, I was like, ‘I know where I’m at.’” In contrast, Georgetown University is located in one of the whitest, most affluent neighborhoods in Washington, D.C. “Sandwiches there cost $9,” Dajourn said with dismay. The man, Dajourn later learned, was found guilty. In the popular imagination, the American dream is a fundamentally individualistic thing. It’s the lone striver scrambling out of the slums and into the high-rise or, at least, into the suburban home with the white picket fence. But Dajourn, despite his personal ambition, doesn’t see himself this way. Yes, he is climbing upward, but he’s also pulling a lot of weight behind him: his parents’ expectations and unfulfilled dreams, the strains and struggles of his community. As long as he’s in the system — “And I have to be in the system,” he said — he’ll never experience the freedom of the lone striver. He’s got too much responsibility. Jennifer’s latest novel is MR. NICE GUY. 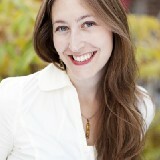 She writes for the New York Times, the Washington Post Magazine and Bloomberg Businessweek among others.